I am still in shock about Whitney Houston. I can’t even comprehend the fact that she is no longer on this earth. I am really at a loss for words about all of this, but I just had to take the time to make a tribute to her. All I can say is, thank God she shared the best of herself with the world before her untimely death so that we can continue to share in her amazing gift. I remember being inspired by this song in elementary school. Great encouragement and advice for any of life’s challenges. This song reaches you at your lowest point and helps you rise. And I have already featured one of my favorite inspirational songs by Whitney Houston and Mariah Carey here: “When You Believe”. This song had me standing in my living room, singing to an air microphone, feeling like I was a diva in junior high school. This is a very short list out of all her amazing hits, which is a testament to the extent of Whitney Houston’s greatness. I am so grateful that we are still able to enjoy her gift and that her music lives on in our hearts and our lives. 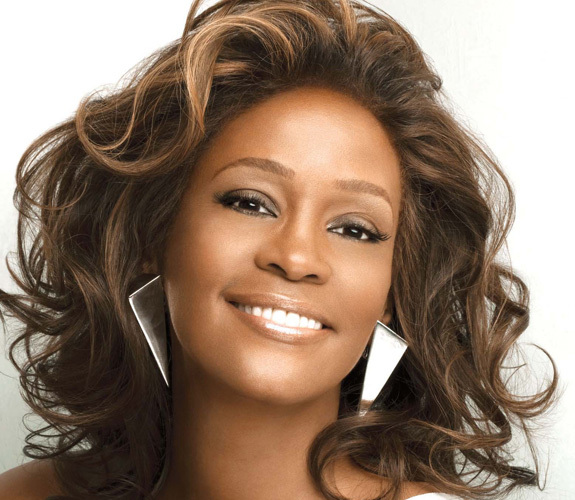 Share your thoughts in the comments: What are your favorite Whitney songs? What memories do you have of her hits throughout your life? Whitney Houston definitely falls in the category of song legends. I also love that song “When you believe” and I don’t know why, but I still remember one of her oldest movies, “The Bodyguard”. She did what she knew best which was singing and blessed many people during her “musical reign” on earth. This simply shows that when you use what you have (your talents) for the good of others, the world will remember you for your good works, even after you’re long gone. Lanre recently posted..Excerpts From Great Minds- What Does Twain Mean? That is so true Lanre, and that is my fuel to use my gifts and live my best life so I can leave a great legacy that people will benefit from long after I’m gone. Thanks for your comments. Thanks so much for compiling these videos. It’s still hard to believe. We still see her as young, vibrant, alive and talented in those videos. She had a voice that will never be forgotten. She was loved around the world . . . .
Martha Giffen recently posted..Can Taking Massive Action Really Change Your Life?? Thanks Martha. That’s exactly why I did this. I think she should be remembered for her greatness, instead of slandered for all of her troubles. Everyone goes through hard times and even some form of addiction, but it’s not as publicized as it is with celebrities. People feel they have the right to judge, but the truth is we all have light and dark within us. Our job is to focus on sharing our light and helping each other through the darkness. I am so glad she shared her light with us for so many years. Many of the people who judge her can’t say the same. Sorry for my rant, just frustrated with all that’s been said about her in the news just this past week, before she’s even been buried. Great videos and post; thank you for this! What a beautiful eulogy for a woman with extraordinary talent who will be missed by all of us! Thanks Sandra. Yes, she will definitely be missed. Nice tribute. I was shocked. She was such a part of my life. I’ve heard so many stories about her personal life recently. It seems that as talented as she was, she did not have the confidence that she should have. When she first announced a come-back tour, fans around the world were so excited. Unfortunately, it did not turn out the way most had hoped. If she had had more time, I think she would have gotten her voice back. I agree Greg. Many times the most famous have the least amount of confidence and the most problems. It’s really a sad combination. And I also agree that if she had more time, she could have gotten her voice back. That makes me cherish life even more, because you just never know. she was a great singer. almost all her songs are my favorites. nice of you to share her songs here. She was one of the best singers, whose songs I love !